I took full advantage of Starbucks Happy Hour last week. I got to try new frappe's that I wouldnt otherwise try. 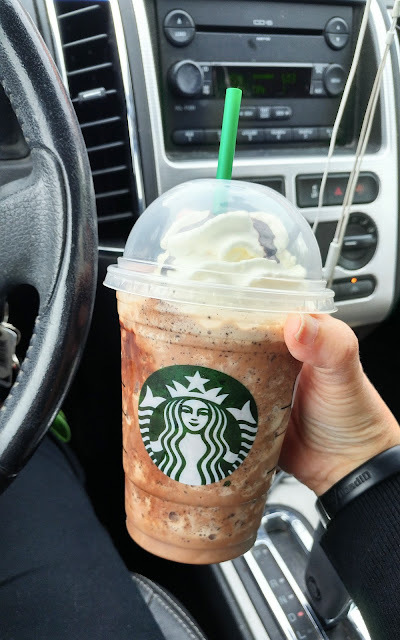 Thumbs up for the Mocha... Thumbs down for the Coffee Frappe. & always heart emoji eyes for the Java Chip!!!! 340 / Mothers Day Roses. 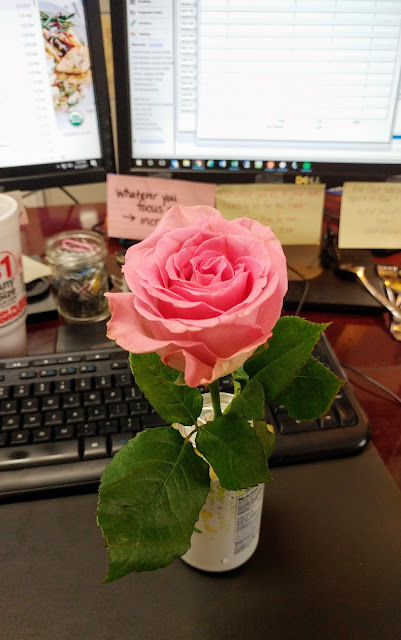 All the women at work got a rose for Mother's Day. Isnt that cute? 347 / New Fabletics leggings. Arent these leggings the cutest? 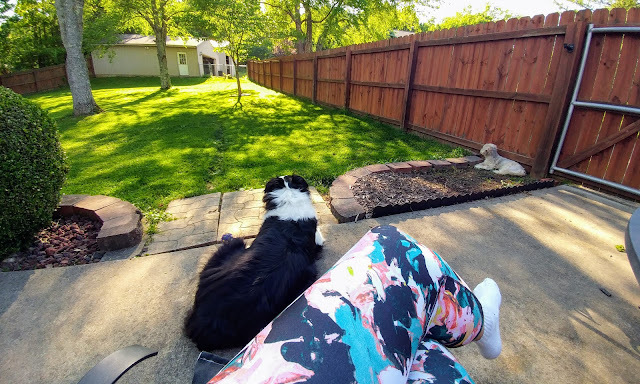 I've been wanting to try the Fabletics leggings...I should do a post on them because I have 2 pairs & I'm 'iffy' about them... how they feel & fit... but I do love the patterns on the ones I got. These are just so pretty!!! 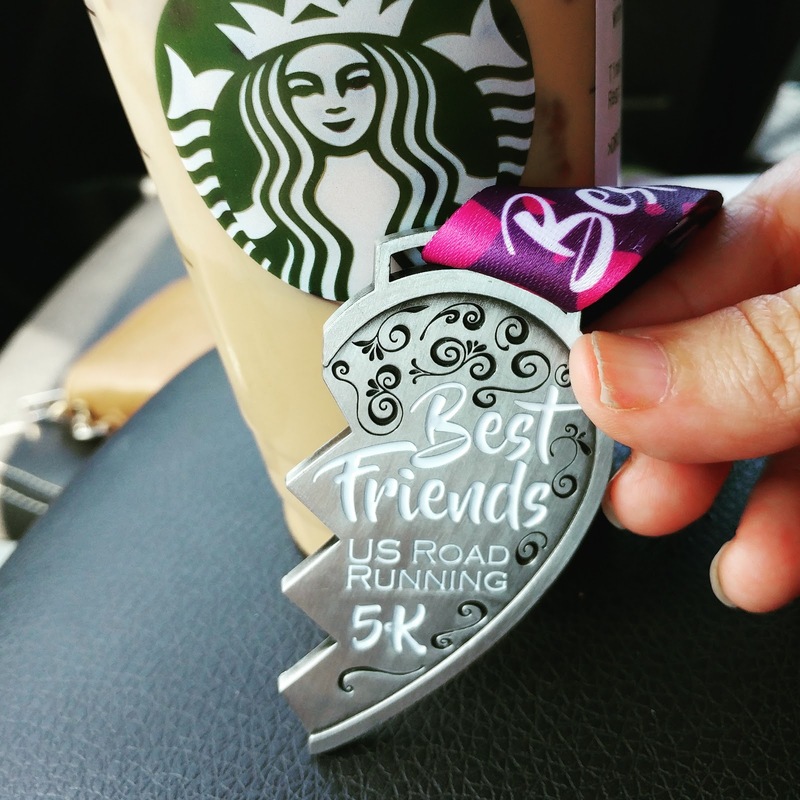 Running a 5k feels so much more wonderful than 13.1 miles. I am totally enjoying that distance right now. & glad to do it with my friend across the miles. 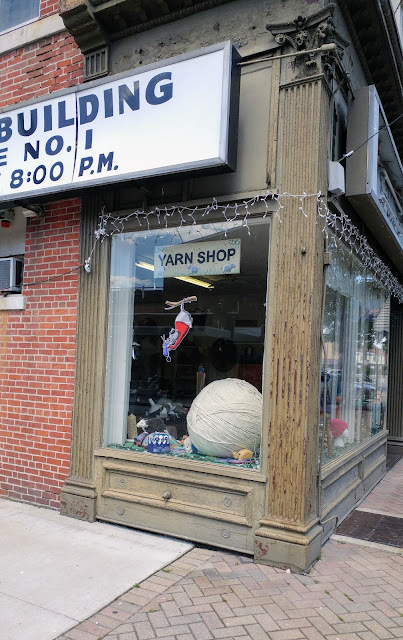 349 / Found the yarn store!!!!! I'm already dreaming of project that MAY need to be made just so I can go back in & buy some luxurious yarn!!! 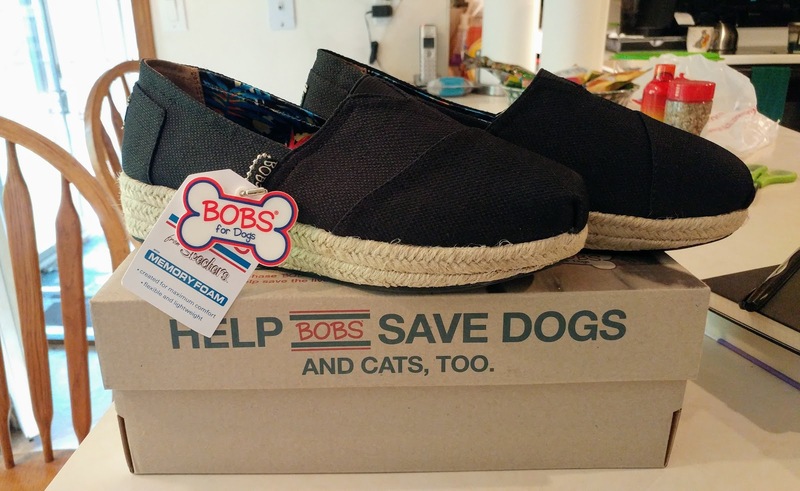 350 / New shoes that helps doggies!!!! I saw these shoes & thought they were so cute. Plus, they are so comfy - & have a little height on them (hello longer looking legs) & then when I saw a little puppy face on them & saw that a donation goes to help animals...I was sold. Literally. These are my favorite shoes right now. The heat has crept back in, but the evenings have just been so beautiful. The humidity has stayed away - that's the key. I have loved sitting out side every night reading a book & watching my dogs. I COULD do without the bug bites I've already gotten... but if it were perfect, it'd be heaven, right? Loved celebrating mom with games & sitting outside & all the Coke from McDonalds a girl could want! 353 / Mother's Day love. Found this in my mail box on Monday... the most precious card & note inside. It made me cry. & I also got phone calls from Julie & the boys on Mother's Day & a text from Lindsay that had me all choked up again... & get this... one of my MSM girls sent me a text thanking me for being such a mother figure in her life .... I legit was speechless on this text she sent me. Like I couldnt form words because I was shocked at the sweetness. Day totally made. 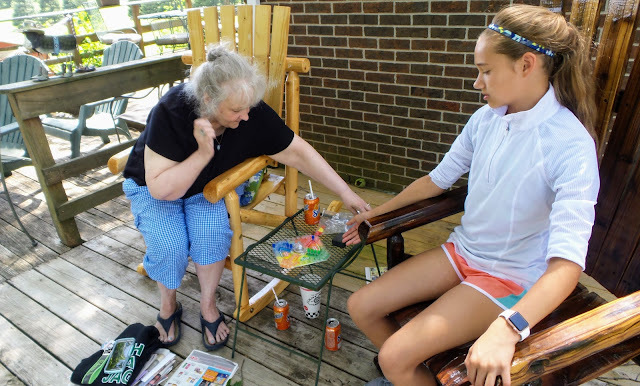 I typically struggle with Mother's Day & I have to say, this year, I felt truly blessed. Tell me something good about your week!!! Love the tights. 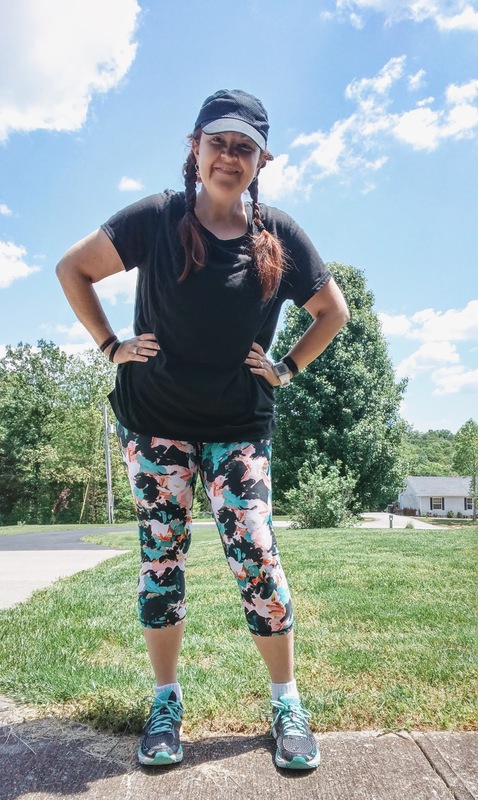 I have fabletics and I love the fabric and how tone they make me feel. Although I've heard not all their tights are the same quality. I love those bobs. Where can I get a pair? I love that all the people made you feel so special on mother's day! Also, why was there ALL the coke on mother's day? That is one massive ball of yarn. It would last you a week, maybe? :D Sounds like another great week. We started a bit cold this week but it's going to be warm this weekend. And sunny! The coffee frappe looks really good right now. Like really, really good! I love that you bought shoes to help doggies. It's even better that those shoes are also cute! LOVE Fabletics leggings! They don't roll down or anything, thats why I love them. Although, I wish they were cheaper!! 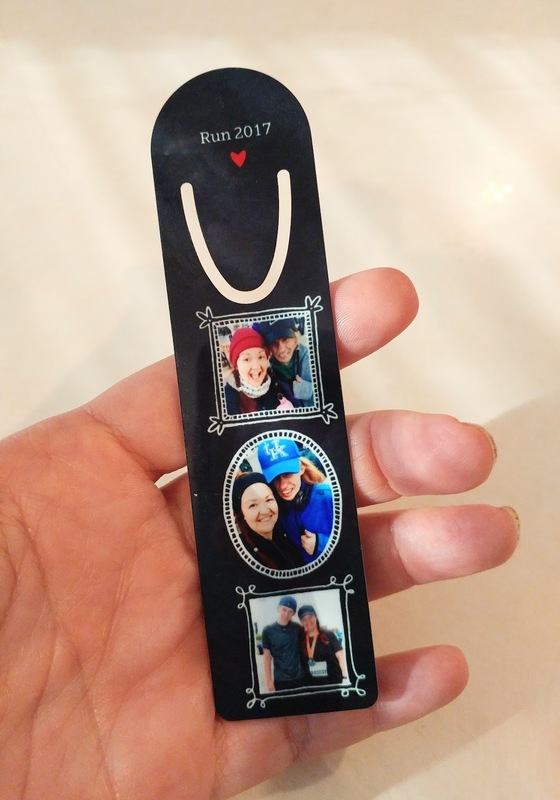 that bookmark is so cute! not something I would buy on its own, but as a gift, super cute! Something good about my week: I got a 4.0 this semester in school! I am SO glad you had a happy Mother's Day. You more than deserve it! So sweet of your workplace to get all the women Mother's Day flowers. Yes for happy hour!!!! That is so sweet that everyone got a rose :) I have always wondered about Fabletics and didn't know if they were good or not. 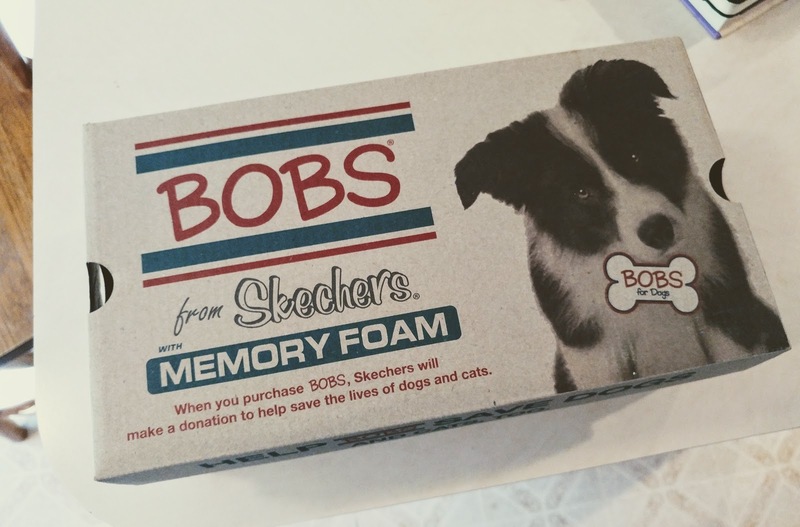 Shoes that save dogs? Clearly you need every pair! Aww - that last one made me tear up! Next year I need to remember to thank all the mother figures in my life! I forgot to link up with you, but did honor the day and your meme on my site today. 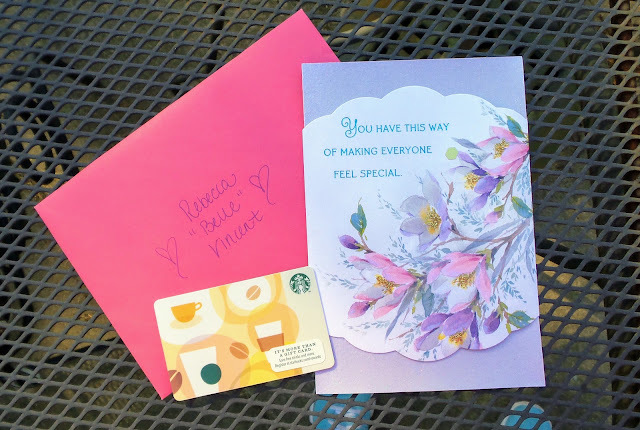 Love your thankful list and am so happy your Mother's Day was amazing! That is the sweetest thing about all the mother's day love! I absolutely love your backyard! Gorgeous! 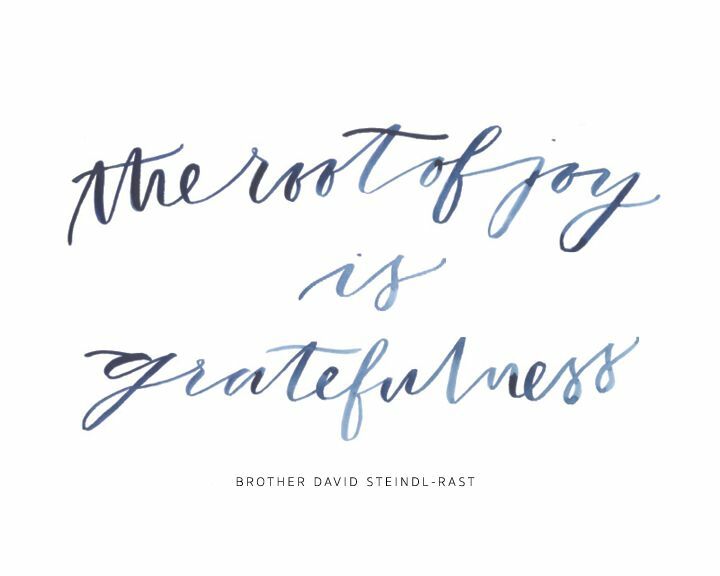 So many things to be thankful for. 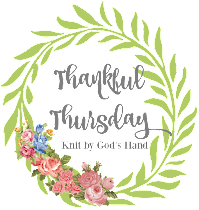 What a fabulous thankful list! I just woke up, so I am thankful for that!